The privacy world has been abuzz with the passage of the California Consumer Privacy Act of 2018. In June 2018, within just a week, California passed this strict new privacy law. Some commentators have compared it to the GDPR, but it is a much more narrow law and is a far cry from the GDPR. Nevertheless, it is a significant entry in California’s considerable canon of privacy laws. For more on California privacy laws, see this collection compiled by the California Attorney General. In the period of just a week, California passed a bold new privacy law – the California Consumer Privacy Act (CCPA) of 2018. By January 1, 2020, companies around the world will have to comply with additional regulations related to the processing of personal data of California residents. 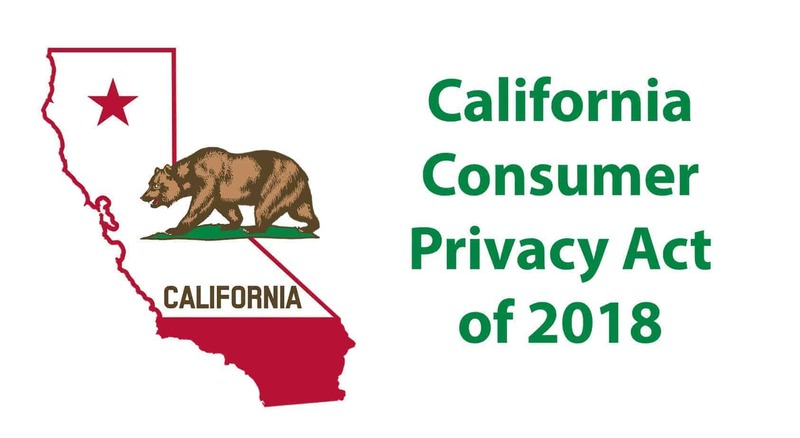 My California Consumer Privacy Act Resources page includes information about the CCPA including articles, news, blogs and more. For the first half of 2018, all eyes were focused eastward on the EU with the start of GDPR enforcement this May. Now, all eyes are shifting westward based on a bold new law passed by California. By January 1, 2020, companies around the world will have to comply with additional regulations related to the processing of personal data of California residents. Pursuant to the California Consumer Privacy Act of 2018, companies must observe restrictions on data monetization business models, accommodate rights to access, deletion, and porting of personal data, update their privacy policies and brace for additional penalties and statutory damages. The California Legislature adopted and the Governor signed the bill on June 28, 2018 after an unusually rushed process in exchange for the proposed initiative measure No. 17-0039 regarding the Consumer Right to Privacy Act of 2018 (the “Initiative”) being withdrawn from the ballot the same day, the deadline for such withdrawals prior to the November 6, 2018 election. Below is an interview with Lothar Determann, a leading expert on California privacy law. He has a treatise on the topic: California Privacy Law (3rd Edition, IAPP 2018). Countless women have been coming forward to say #MeToo and share their traumatic stories of sexual harassment and assault. But there are many stories we’re not hearing. These stories are being silenced by extremely broad nondisclosure agreements (NDAs), some made at the outset of employment and others when settling litigation over sexual harassment. They stop victims from talking. They also silence other employees who witness sexual harassment of co-workers. NDAs were a powerful device used by Harvey Weinstein to hush up what he was doing.